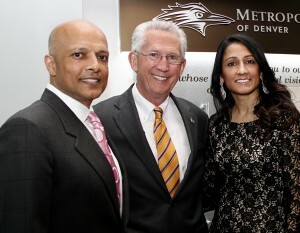 Stonebridge Companies president and CEO Navin Dimond and his wife, Rita, were feted last week (and with good reason) during Setting the Table, a table-setting competition and celebration of the couple’s record $1.5 million contribution to the newly named Rita and Navin Dimond Hotel Management Program at Metro State University of Denver. MSU Denver president Stephen Jordan said that the Navins’ gift, “Will inspire our hospitality program on its way to pre-eminence. (The financial gift) creates a fellows program within our hospitality program. 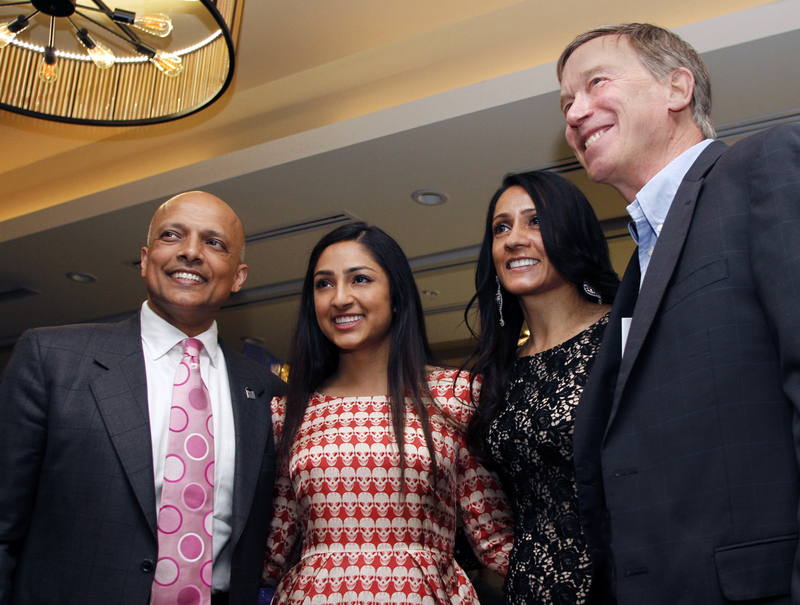 The event, attended by Denver Mayor Michael Hancock and Colorado Gov. John Hickenlooper, pitted table-mates against neighboring table teams in setting the most precise and creative table for 10. With as much humility as I can muster, our table, called The Savoy, took home first place. It didn’t hurt that my “plus one” was Judie Seidel-Davidson, who has spent her storied career in the hospitality industry. The event took place in the ballroom of the Stonebridge-owned Renaissance Denver Downtown City Center Hotel, a spectacular transformation of the nearly 150-year-old Colorado National Bank building at 918 17th St.. Do yourself a favor and take a stroll through the stunning lobby.